Thank you for attending the Lake Country Customs and Classics Car Show on Sunday, August 19th. 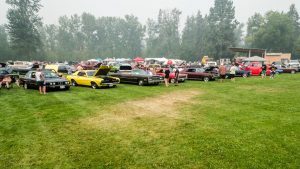 This year’s show was another BIG success, even with the smoky skies. This year’s car show survey results have been coming in steady, and so far we’re happy to report we’re getting some excellent feedback and great reviews! Your opinion matters! If you haven’t completed the survey yet, please take the time do so soon. Our committee is meeting in early September to review this year’s show and the survey results are a big part of the meeting. Please visit the www.lakecountrycarshow.com over the next few days for more pictures of the show and information on this year’s top 10 favourites.